Being in the hospital can be stressful! 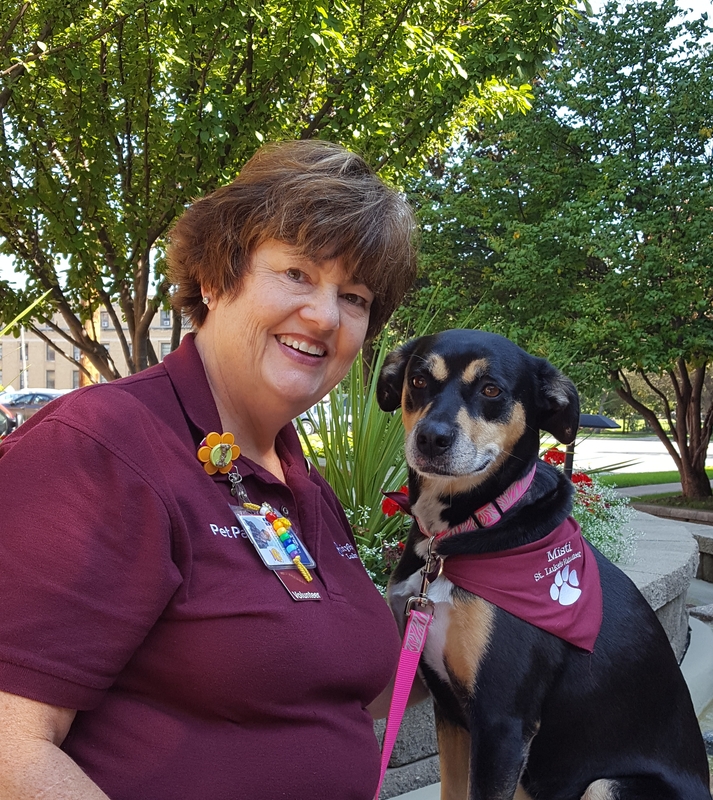 Pet Pals is a UnityPoint Health – St. Luke’s volunteer program that uses specially trained dogs, cats, and their humans, to provide an opportunity for patients to benefit from animal interactions. Our talented and specially trained canine and feline volunteers have helped bring comfort and smiles everywhere they go for over 20 years. Family members and friends who sit in on animal visits say they feel better, too. Our staff LOVE our furry volunteers! At St. Luke's, we offer so much more than exceptional healthcare and what could be better than a visit from a furry friend? We recruit volunteers with Pet Partners certification. Pet Partners®, formerly known as Delta Society, was the first comprehensive, standardized training in animal-assisted activities and therapy for volunteers and health-care professionals. Pet Partners is the ‘top-dog” in animal/handler team certification. Because YOU matter to this world, nothing but the best will do. Pet Partners invites prospective volunteers to attend a free, one-hour informational webinars (online interactive presentations) to learn about our Therapy Animal Program. Led by experienced volunteers with the assistance of Pet Partners staff, these sessions will cover the process for becoming a registered therapy animal team with your pet.